This church hall is a magnificent place. 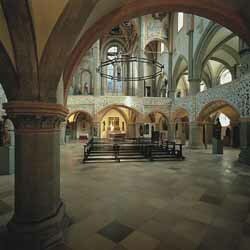 Was it built in the Gothic Architecture Style? Could this be where Julius prayed and wept for not being able to reveal her secret? Julius met both Klaus (Alexei) and Issac at Orpheus' Window built 400 years earlier. What will become of these helpless souls under the curse of the window? 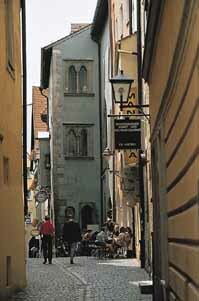 How I wished to have strolled along the cobblestone roads in the romantic city of Regensburg just as the fictional characters in the story had done every day!